WE OFFER AN EXTENSIVE RANGE OF DOCUMENTATION BECAUSE OUR CUSTOMERS HAVE A WIDE VARIETY OF EQUIPMENT. Many of our customers order standard products, and for them standard documentation is enough. Other customers specify customized products and systems to meet their unique needs. For those customers we offer customized documentation that exactly matches their specifications. Whether standard or customized, MTU documentation provides complete information on the operation and maintenance of our engines and systems, enabling our customers to obtain the highest performance and value from them. For example, we modify maintenance to reflect anticipated load profiles and application groups covered by that document. In addition to service intervals, the maintenance sections cover fluid and lubricant specifications, and provide workshop task description. Correct fluids and lubricants are used, resulting in a drive system with greater operational reliability and function. Safety requirements are followed during maintenance and operation. 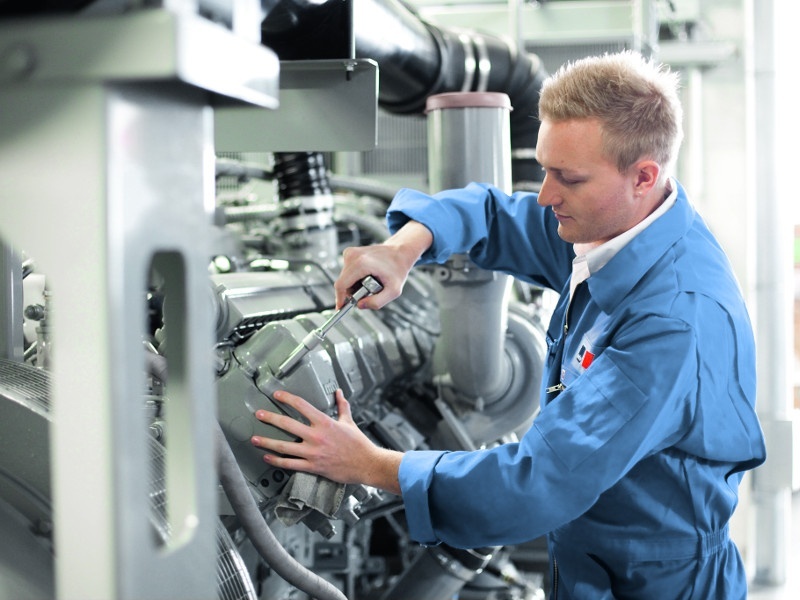 Preventive maintenance is performed according to schedule, ensuring reduced equipment downtime. Technical documentation is available on DVD, CD and in printed form. A lot of information is also available here, including fluids and lubricants specification, standard operating instructions, and preservation and represervation specifications. For information specific to your generator, please contact us with the model and serial number (if possible take a picture of the data plate) so that we can provide the correct documents.